China may be known for its green tea….or Chinese tea to you and me, but over recent years its appetite for coffee has exploded. With the growing wealth of its economy leading to a rise in disposable incomes, the want for quality coffee is becoming more a reality. 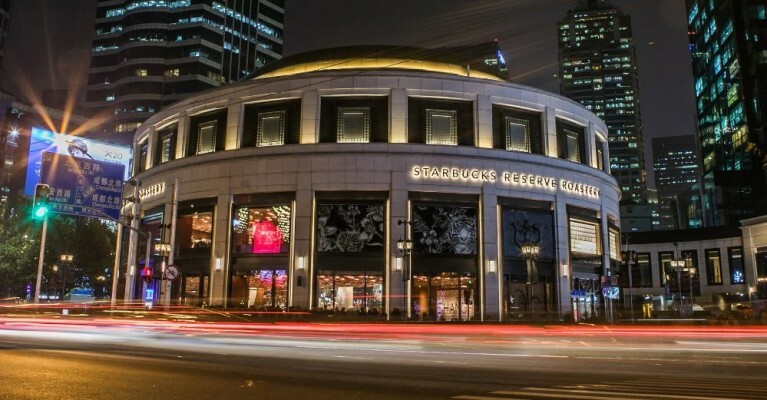 China’s coffee market has tripled in the past 4 years and with it we’re seeing moves from big players such as Starbucks flooding the market with their largest coffee reserve in Shanghai (imaged below). ‘Bull in a China shop’ couldn’t hold truer with cash blow out partnerships with Alibaba for aggressive no holds barred expansion (the equivalent to Amazon to give you some sort of scale). Although this is in relation poor quality coffee to specialty it shouldn’t be sniffed at. A major shift in habits is underway and it’s only a matter of time before specialty coffee lays down the gauntlets and lays waste to mediocre coffee (the dream). China’s economy is worth a staggering $13 trillion dollars (6.9% growth vs LY) and coupled with a population of over 1.3 trillion the growth potential is mind blowing to say the least. In many cases this outweighs the potential in growing but more saturated coffee loving markets across Europe and America. 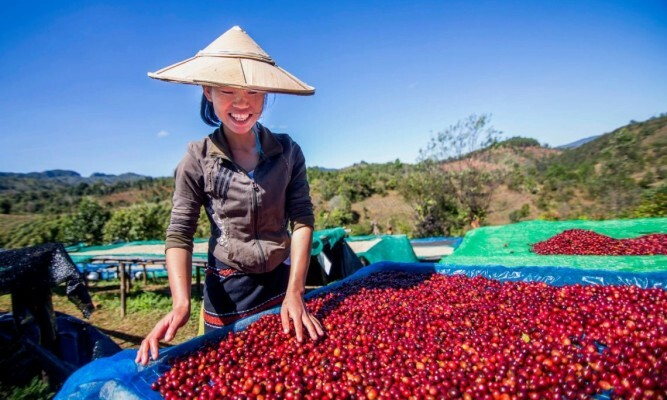 Not stopping there, China is becoming better recognised for its coffee farms. East Asia as a region has historically been tainted for its stronger, bitter and earthy coffee flavours. Commercially until the last few years they have been unfavoured in the West and to some extent East. However, with better farming practices and crop quality their coffees are becoming more comparable to the experienced coffee producers within Africa, Central and South America. Myanmar, Yunnan and Fuyan are just a few of the places that have surprised even myself me with the quality of coffee beans. Some of which producing fruit bomb flavour notes commonly associated with naturally process Ethiopian crops. The future is bright, the future is coffee. China is in its own right special as one of those unique countries that is a jack of all trades, but has the ability to be a master of most as well. As a global exporter it has not only produced but replicated what seems like anything the world has to offer, from fashion, electronics and now draws closer to quality coffee. The future is bright for China, the future is coffee. This entry was posted in News and tagged china, chinese coffee.